In order to ensure that I eat the best foods possible and get outdoors for exercise on a regular basis, I need to be organized. I still have children living at home and my husband works away during the week so I needed a system. 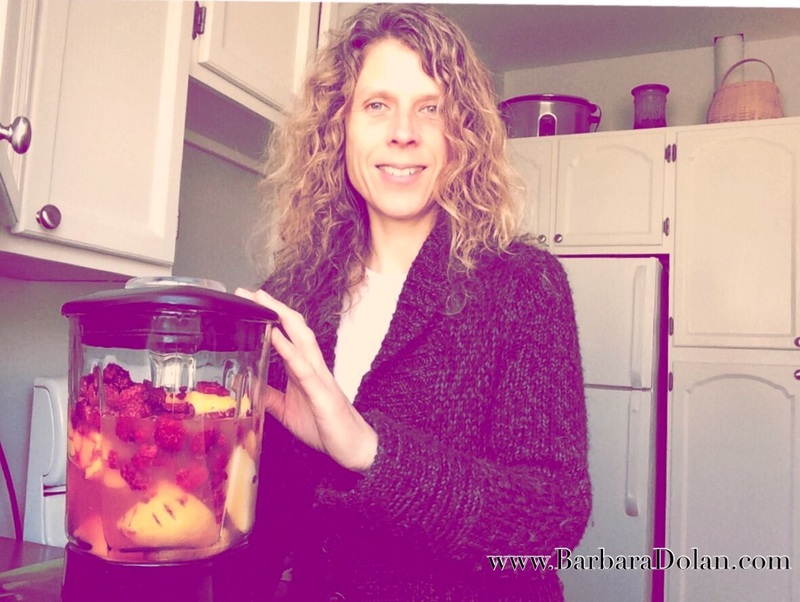 I want to share with you what I have do that has helped me through this healing process. 1. Make a Weekly Menu – I sit down on Sunday evenings and plan the menu for evening meals for the week. It takes less than 30 minutes, with the help of my family. We all have dinners that we like over and over again but I usually work in one new recipe. My youngest daughter and I like to try something new on Fridays. (Pinterest has been great for this) During the planning time, we talk about everyone’s schedule and who is home which day to either help or handle the entire dinner. I work 2 evenings per week so that has to be factored in as well. The menu is written on a white board that I have in the kitchen. That way, everyone knows what the plan is. No more, ‘What are we having?’ but instead, ‘I can chop…’ or ‘I will…’. Taking the time to make a menu removes a lot of stress, worry and wasted time. Having a weekly menu really helped get my family more involved with mealtimes and thinking about their health. I will expand more on how to menu plan in a future post. Watch this space. 2. Eat in – Now that I have a Menu Plan for the week, I have no excuse but to make food for my family at home, every night. When I do this, I have control over what goes in to my body. This goes for lunch as well. I work outside of the home, so I make sure that I pack a lunch filled with the healthiest choices for my body (for me this means organic food, vegan, whole-food plant-based diet and a lot of raw food). It gives me the stamina that I need to get through my work day, especially while still healing. Often when people go from eating out regularly to preparing meals at home regularly, they begin to notice a change in their body. The immune system gets stronger, they are sick less often, they lose a little weight and they feel so great. Not too mention, the extra money to spend on better quality organic food. 3. Buy in Bulk – I have always purchased food in larger quantities. This is partially because we eat a lot in this house but also because it is more economical to buy more at once. This does require more storage space and a large freezer. The benefit is in knowing that I have items on hand to make the recipes that I want to make. I think people tend to buy a ready-made item because they do not want to take the time to buy all of the ingredients required for different recipes. I started slowly and built up my supplies gradually. I now make all of my meals from scratch on a daily basis. A lot cheaper in the long run and so much better for your body. For me, the benefits of homemade food are blatant. 4. Make Extra – When making a meal that everyone loves, consider doubling the recipe. I freeze the extra for another meal or refrigerate it for another day that week when we have activities going on around the supper hour or when I am working the evening. This takes away the temptation to order a pizza or pick up Chinese. The meal is ready to go. I am always making double to freeze meals for my husband while he is away. He works 10 hour days and has a 90 minute travel to and from work. This way he is getting better nutrition than if he were to eat out every night. 5. Delegate Jobs – This is hard for me. I have a certain way that I like to do things and I know that if I am in charge of it, it will get done. But it has been an important part of my recovery to allow others to do things because I just can’t do everything right now. One example is that I never do dishes any more. My son is in charge of dishes during the week and my husband on weekends. If they don’t do them, I freak out a little inside but I leave them until they do them. Everyone has a few things that they are responsible for and this way we are a team working together. Not every week is successful but no one is perfect, right? 7. Clean the Fridge – I buy fresh fruits and vegetables in larger quantities as well. I have a small business where I bring in fresh organic produce every 2 weeks. I share this produce with families in my area. So on a Tuesday, I have a super-full fridge and two weeks later on the Sunday and Monday I am getting down to the last few items. This is perfect timing for me to take 20 or 30 minutes to clean the fridge. I use a microfiber cloth and warm water and I wipe everything down. As I am doing that, I check every thing that is in there. Has this expired? Is it compost material? How long has this been here? This way I protect my family from harmful molds and other things. It also is a good time to make a big pot of soup, stir-fry or juice up the last few veggies. Now you have an idea about the small things that I do that make a difference in my life and to my health. It is a matter of deciding to do it and sticking to it. It is also a matter of simplifying things in your life and in your home. I have gotten so much better at removing things from my home that aren’t used and aren’t needed. As I said, I will expand on the menu planning process to help those who struggle with that. Please let me know if there are other things that you need help with and I will gladly share what I know. You are getting it done! Love that everyone has there part, and how you are letting go of the perfection. Good stuff. I make 99 percent of my meals at home and could really use your menu planning tips. Can’t wait. I save so much when I eat at home, and it tastes better too. I am glad you are on the road to recovery. Really good suggestions Barbara! Glad to know that you are doing much better too.